As the manufacturing industries are becoming more and more automated, the need for oil-free compressed air is becoming more and more prevailing. Even if the process itself would not require 100% oil-free air, the pneumatic actuators, robots, valves and other fine components greatly suffer from the oil carry-over which is almost always present with traditional technologies. 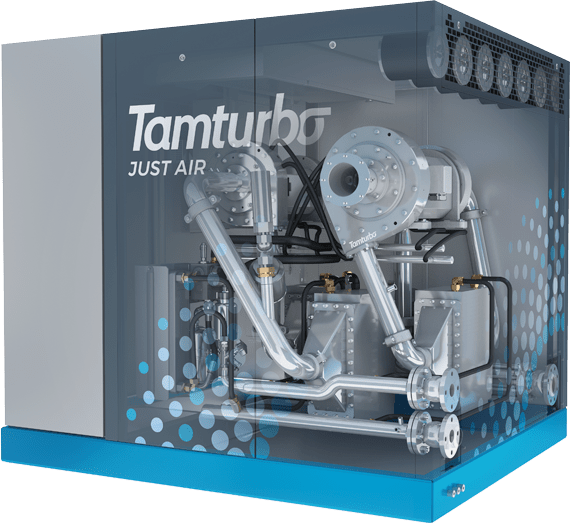 With a significantly lower cost of ownership, the Tamturbo technology saves money and environment even in applications where oil-free air is not an absolute must. As a very energy intensive business, the demands on energy efficiency are highly valued when considering new technologies. Interruptions in processes are expensive and all maintenance is planned carefully with tight schedules. The high reliability of our turbo compressors, low hours of planned and unplanned downtime and excellent predictability of preventative maintenance let you keep your focus on your daily business. Therefore, you can be care-free with our Touch-Free compressor.